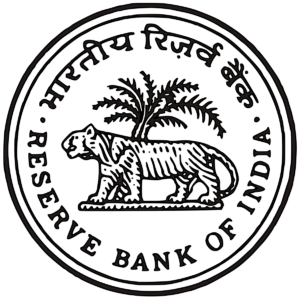 Reserve Bank of India (RBI) is recruiting for 623 Vacancy of Assistant posts. Eligible candidates can apply online through the Official Website of Reserve Bank of India (RBI). Those Recruitments will be for various branches of RBI. Applicants are advised to take a look at the notice from the official website and then fill the form. As per the notification, the candidates will have to fill-up the form between 20.10.2017- 10.11.2017. This is a huge opportunity for the freshers who have completed Bachelor’s Degree with minimum 580 % marks. Candidates, who are 20-28 years old, can apply for this job. They must read write and speak the local language. Pay scale will be acceptable. For more details candidates will have to go through the “eligibility criteria” and “How to Apply” section. Candidates will be selected on the basis of Preliminary Examination, Main Examination, Biometric verification and Language Proficiency Test. As far we are concerned the Preliminary Examination will be held on 27th and 28th November 2017. The main test will be on 20th November 2017. For more details, candidates are advised to go to the official website of Reserve Bank of India (RBI). Candidates have to get Bachelor’s Degree in any discipline with minimum 50% marks. There is relaxation for the reserved category. Candidates are required to have knowledge of word processing on the computer. Candidates who are applying for the posts must have to apply for the posts in a particular recruitment office. They just need to read write and speak in local language. Candidates will be recruited via written Preliminary Examination, Main Examination, Biometric verification and Language Proficiency Test. Preliminary Examination will be held on 27th and 28th November 2017. The main test will be on 20th November 2017. The candidates are hereby informed to see the official notification before application submission. Candidates who are willing to apply are hereby requested to go to the official Website. Candidates have to apply between 20.10.2017- 10.11.2017. Fill the form in Prescribed Format.